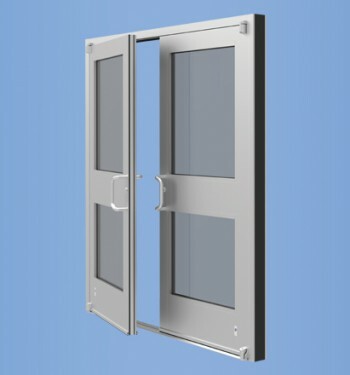 Door corners are mechanically joined and welded to ensure that they are more than capable of withstanding today’s most demanding conditions. Standard hardware options include the Smart Series Push/Pull and touch bar exit devices. 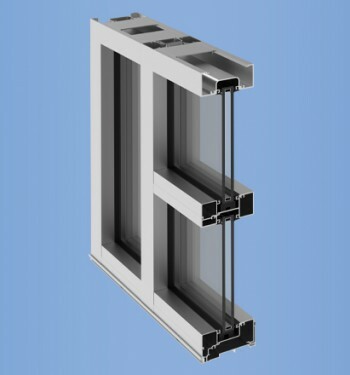 Custom entrances are available with options for one inch glazing, mid rails, high bottom rails and will accommodate most custom hardware. 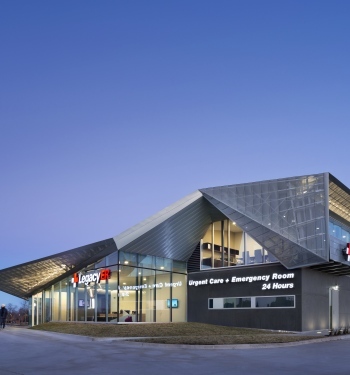 Located in Allen, Texas, the new Legacy ER stands out amongst the suburban neighborhoods. Clad in metal and glass, the building is an example of the progressive architecture that is seeping into the medical community.